People experiencing enforced or voluntary workplace career change often have unrealistic expectations about the availability of a suitable position being readily accessible to them. This can quickly translate into negative feelings and a loss of confidence (all of which is completely avoidable). A job search is a search that most people have to conduct to FIND THE RIGHT JOB WITH THE RIGHT ORGANISATION. Stop and think about all the variables that need to be aligned for you to achieve this highly desirable outcome, and further consider if only one component is missing???. A job search is a complex task that requires a lot of planning, strategizing and hard work (and often a bit of luck) to achieve the best possible result. Consider the arrogance of the following mind set: “when I leave my job I expect that the ideal job is always there ready for me to start”…(this is how most people approach it)... “I finish today and in a couple of weeks I will walk straight into my ideal role”. It’s a myth that needs to be recognised as a dangerous misconception and an unrealistic expectation. If you are prepared to take any old hack job then that is what you will get. On the other hand career focused people are selective about the position and who they work for…nothing wrong with that. A job search is about finding the right job for you by positioning yourself to take advantage of opportunities as they arise. Accept the fact that approximately 70% of jobs are never advertised (the hidden job market) and are sourced through a number of ways. The ACMA program is focused on target marketing and connecting clients directly with people and organisations in their target market, and thereby bypassing recruiters and internet job seeker sites as much as possible. By positioning we mean that when a suitable job comes up in your target market then they already know of your existence, skills and qualifications for the role. Nothing mysterious about that…however most job seekers never do it. 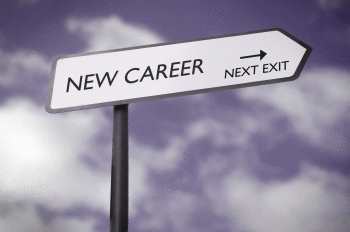 A successful job search takes time and systematic effort, with the ACMA program focused on doing the research and analysis needed to effectively manage your job search to ensure only “good career choices”. Many job searches fail simply because people (unknowingly) go about it in the wrong way, applying for jobs listed on internet job sites and with recruiters, and then complain about the lack of response and/or positive results. The worst scenario is getting the wrong job, or settling for second best when all the time missing great job opportunities that could drive their career and personal lives to really good outcomes. The myth has been exposed…a great job search is complex, easily mismanaged and potentially personally disastrous if you get it wrong. Canny job seekers avoid these traps and connect directly with the people and organisations that need and appreciate their talents and potential.